Daniel is heading back to the New York stage this year! 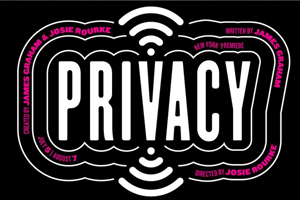 He is set to lead Privacy, a new play co-created and written by James Graham, and co-created and directed by the Donmar Warehouse’s Josie Rourke. The production will play a limited time, from 5th July through 7th August, in the Public's Newman Theater. The Opening night is scheduled for 18th July. Daniel will take on the role of The Writer. Privacy made its world premiere at London's Donmar Warehouse in 2014. Inspired by the revelations of Edward Snowden, Privacy explores our complicated relationship with technology and data through the funny and heart-breaking travails of a lonely guy (Radcliffe), who arrives in the city to figure out how to like, tag, and share his life without giving it all away. The play uncovers what our technological choices reveal about who we are, what we want and who’s keeping track of it all. This provocative theatrical event will ask audiences to charge their phones, leave them ON during the performance and to embark on a fascinating dive online and into a new reality where we’re all connected…for better or worse. More info at publictheater.org. Tickets will be available on the website from Tuesday 24th May.